Everyone loves anything comfortable and affordable, especially when their fluffy too. 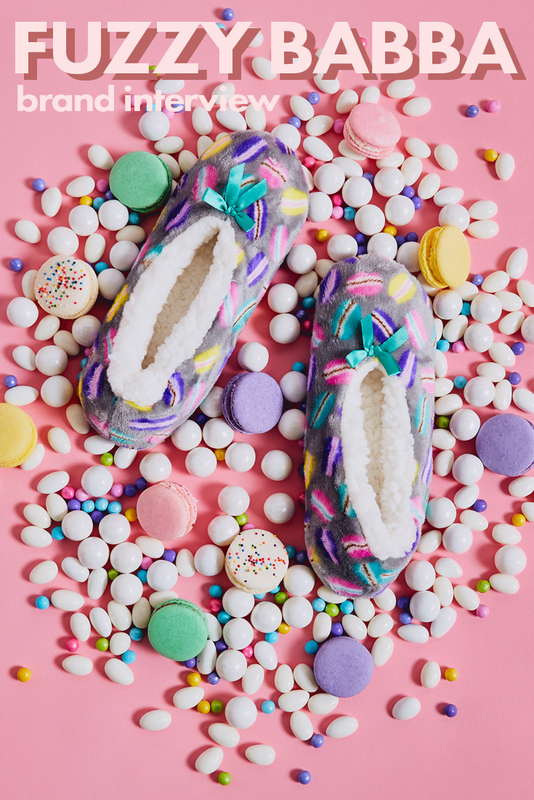 Introducing @Fuzzybabba, created to replace your boring stiff slippers. Their fluffy socks that promises pillowy softness AND no slipping because they added Safety Dots® to their fuzzy socks line. With assortment of cute designs and different style, for sure this brand is for the whole family. 1. What inspired you to create Fuzzy Babba? At Fuzzy Babba, we’re committed to dreaming up comfy, affordable styles that fit you well and bring you joy! For years, hard-soled slippers were stiff and dowdy, and regular socks were thin and slippery. 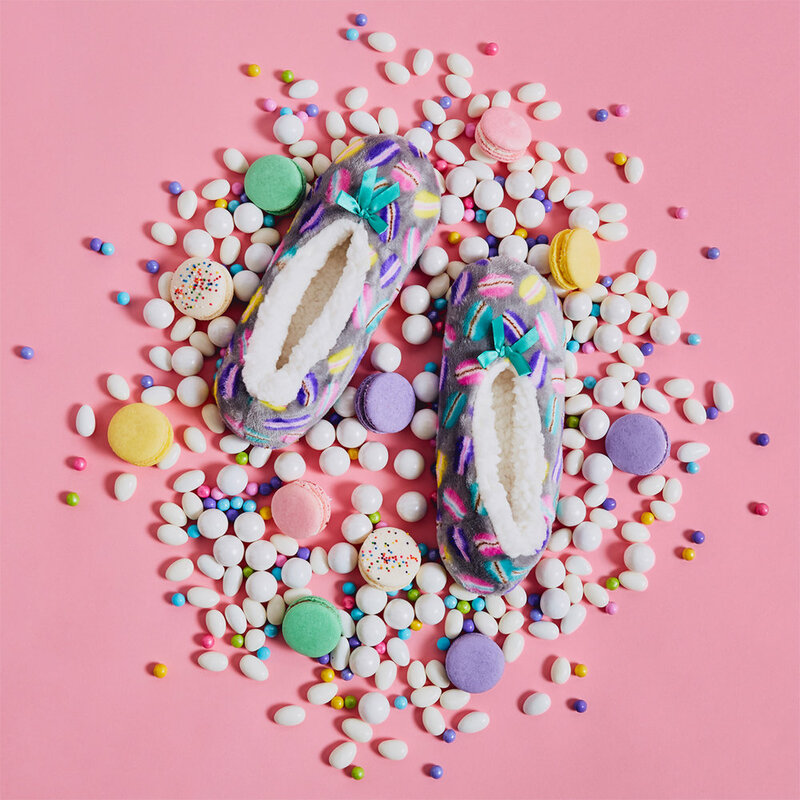 Our Original Fuzzy Babba® smooshed the best of both together to create a completely new product with the comfort and elasticity of a sock, but the pillowy softness and structure of a slipper. Our brand name is a nod to our first and favorite style, which combines “fuzzy” feeling terry cloth with our “babba” — a cruelty-free material that’s super soft and fluffy, just like a sheep’s wool! Each day, we set out to bring you comfort and joy through affordable products and experiences that never sacrifice quality, and always make you smile. Fuzzy Babba items are special because, in addition to being soft and cozy, they all can easily join the rest of your laundry in the washing machine! Safety has always been a top priority for us, so we added Safety Dots® non-slip grippers to the bottom of all of our slipper socks to keep you from slipping. 3. What is your favorite Fuzzy Babba product and why? 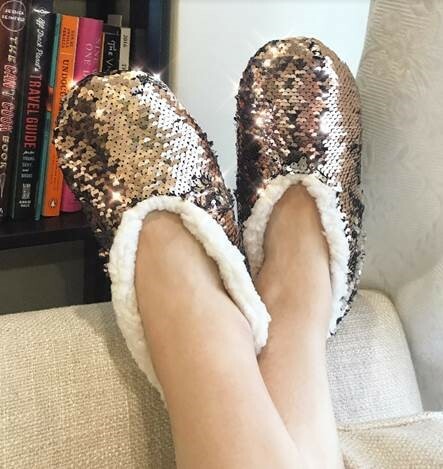 Our glam sequin slipper socks are for sure our favorites; they are perfect for all year round. Of all of the styles in our sequin collection, the “Comfort and Love” design is especially close to our hearts: for every pair of this style purchased on fuzzybabba.com, we donate to The Breast Cancer Charities of America, an organization that is deeply committed to delivering the integrated cancer care message to the women of America. We also love our Original Fuzzy Babba® styles because they come in so many designs! Can’t leave home without concealer, mascara, lip gloss, and a powder compact! 5. What is your morning and evening beauty routine? First, we put on our Fuzzy Babbas then we start to do our makeup :) At the end of a long day when our makeup’s off and we’re cozy at home, we’re back in our Babbas with a sheet mask on! 6. What's your best beauty tip? Be confident in your own skin! 7. What's next for Fuzzy Babba? We want to be able to spread our love for comfort and style to everyone. Expect to see more of us in 2019!